People should be more aware of what they are posting online. We’ve covered multiple instances in our blog where any notion of basic privacy is completely disregarded. Things like this. This. And this. You might think you’re careful about what you post. But it’s not just what you post. Other people post things about you too, all the time. 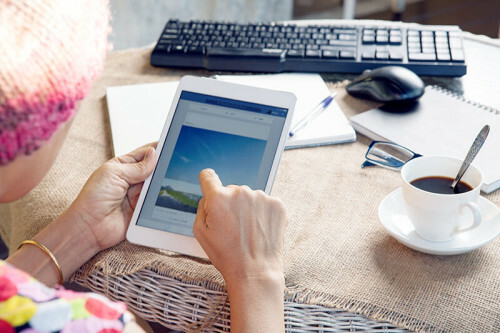 You’ve probably been tagged in your friend’s Facebook status updates, or your company may have published your photograph on their staff webpage. You may have even won a Barbie doll in a raffle at the school Christmas fair in 1987, then had your name printed in the local paper alongside a picture of you holding the Barbie. The kind of picture your friends would mock you about, all through school. The kind of picture that has suddenly reappeared 20 years later, because the local paper just put all their archives on the Internet. The point is that it’s easy to underestimate how much of yourself you are unwittingly broadcasting to the world. Looks like a nice day out, and the kind of thing anyone might post on their Facebook. It’s lovely, fluffy, vague, and generic. But the lyrics are not all we have. We have the Internet. And the Internet knows everything. The answer to both questions, therefore, is yes. Yes, we can work out Lou Reed’s Perfect Day, and yes we can work out the movie he saw. Buckle up, we’re going on a ride. Let’s start with the first thing you do in the morning. Hey Everyone! I’m taking a picture of a pen! Like! A Facebook status broadcasts your location, and maybe tags one or two of your friends, too. Though the Perfect Day almost certainly took place before Facebook was invented, we know it happened in Central Park, New York City. We also know Reed was with his then fiancée, Bettye Kronstad, because Kronstad confirmed it in an article on the Internet. Their relationship status turns out to be quite important too. Reed met Kronstad in 1968. So the Perfect Day must have happened between 1968 and the song’s release in November 1972. First move and already it’s down to one of 1,430 days. Not bad. The other ~2,188,570 days of human civilization can already be dismissed. Though it’s not very specific, there are some clues in the lyrics of “Perfect Day” that help point to a date. For example, we know the Perfect Day happened during a weekend, because the lyrics refer to a “weekender”. A little extra research finds that in 1972, Reed was on a long tour in Europe, the first date of which was July 8, in London. Assuming Reed can’t teleport, let’s give him some time to travel.. If he was in London on July 8, he must have left New York no later than July 7. Perhaps his Perfect Day was a pleasant July 7 in New York City, the day before he set off on a long and gruelling European tour. Nope. July 7, 1972, was a Friday. And you can’t enjoy a “Weekender on our own” if it’s not a weekend. The last weekend before Reed went to Europe was July 1/2. Therefore, Perfect Day was a Saturday or Sunday between 1968 and July 2, 1972. Except it can’t have been a weekend in 1968, because Bettye went galavanting around Europe almost as soon as she met Lou Reed. In her own words, they “only went out for dinner a couple of times” before her trip. So they certainly weren’t engaged, as they would need to be for Reed to spend the day in the park with his fiancée, Kronstad. New York, London, Paris – Not Munich. Before 1970, Reed lived with his parents on Long Island. In 1970, he moved into an apartment in New York’s Upper East Side with Kronstad. Kronstad claims that before they moved in together, they were only dating for a few years. Not engaged. So the Perfect Day must have happened sometime between January 1970 and July 2nd, 1972. A search for “when did lou reed propose to bettye” doesn’t offer much, other than the fact the couple moved to London in the summer of 1972. They stayed in Wimbledon, which sounds lovely, but doesn’t help us in investigation. The search did lead to Reed’s biography though. Something else happened in January 1972. 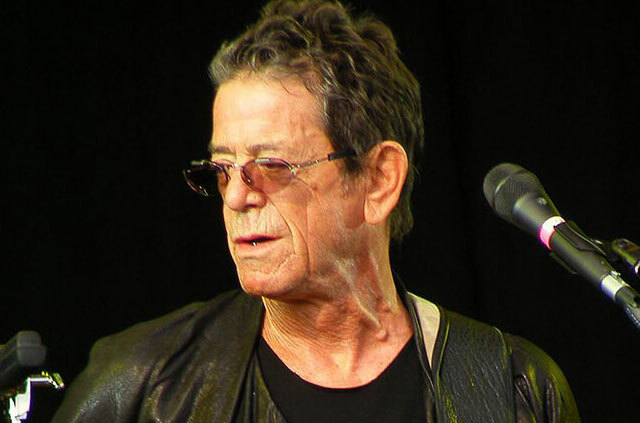 Lou Reed was playing a gig at the Bataclan in Paris. Paris is not in New York. Ergo, the Perfect Day occurred between February and July 2, 1972. A picture of everyone who enjoys picnics in the cold. Reed and Kronstad spent the day in a park. This is an integral part of the lyrics. Think about it. Who wants to drink sangria in the park in the cold? No one, that’s who. 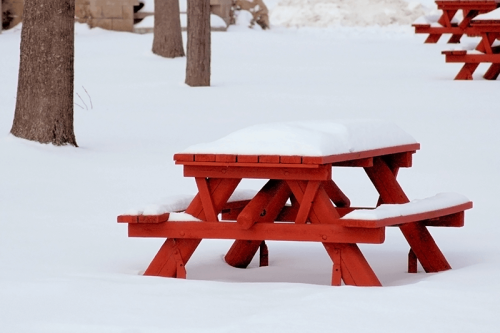 Historically, NYC weather is totally unsuitable for picnics until April. Since it’s a Perfect Day, and since they seem to have spent the whole day there—they went to the zoo and everything—it’s safe to assume that it was sunny. Not quite as solid and tangible evidence as the hard dates, admittedly, but no one is going to spend a day in the park if it’s raining. Perhaps more accurate weather data can rule out a few more days as “not appropriate for a picnic”, too. April of 1972 was a particularly dreary month; no weekend at Central Park had even remotely nice picnic weather—certainly not the kind of weather in which one might enjoy a cheeky al fresco sangria. The first weekend in May was the 6/7. As we’re closing in on this, let’s just have a look through the weather records of every weekend between those dates, and rule out any rainy or cold days. That leaves us with a list of 8 possible days! May 7, 13, 21, 28; June 3 and 17; or July 1 and 2. 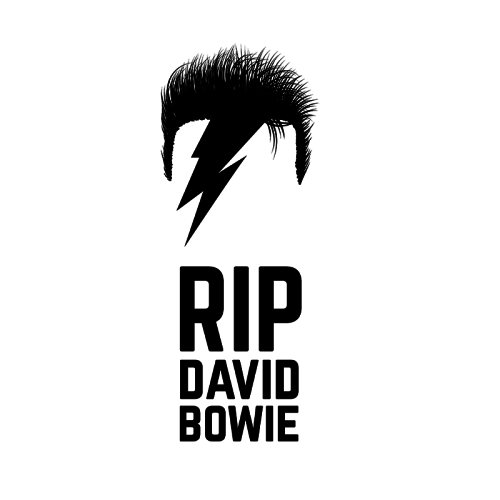 So long, Starman. You were fantastic. There’s a nice connection here. The Pianist Dr. John played in Central Park on June 17, 1972. Dr. John moved in the same circles as Reed, so it’s possible that Reed might have gone to see him play in Central Park. Interestingly, Dr. John would later perform on a cover of “Perfect Day” for the BBC in 1997. That would be pretty cool, for him to play on the cover of a song written about a day on which an acquaintance watched him perform. The only problem is that there’s no mention of it in the lyrics. Reed wanted go to the movies, then go home. The lyrics do not state, “And then later, a gig in the park to see a guy I kind of know, a movie too, and then home”. Surely Reed would have popped in to see Dr. John performing at the very park in which he happened to be cavorting? It is possible that Reed did go to see the gig, but drank so much sangria he forgot all about it. Perhaps a search of the locations of Reed’s other buddies might help. Reed was a known affiliate of the late, great David Bowie. A search for Bowie and Reed turns up a reference of them being together in London in June 1972. This has to rule out July 1 and July 2 as being the Perfect Day. Lou Reed would have had to have had gone to London and back before July 8, then back again to London again, for his gig. That’s a shame, as July 2, 1972, seemed like it was a perfect day to spend in a New York park (based on historical weather records). Further research shows that he was, in fact, already in London at some point during May 1972. He was recording with David Bowie at Trident Studios. We now know that Lou Reed had a Perfect Day on either May 7, 13, 21, or 28, 1972. Thanks again, David Bowie, for helping us out with that. You are missed. Weather check, please. Did you know that weather stations keep hourly records? Well, they do. The hourly forecast for May 21, 1972 shows that it was a bracing 66°F (18.9°C) at 11:00 a.m. Sure, it picked up to a moderate 76°F (24.4°C) by 2:00 p.m., but there was a “light breeze” of 7.4 km/h. Still a bit cold for a picnic. So we’re down to one of three dates in May 1972: 7, 13, or 28. Since Reed was definitely recording an album in London at some point in May, it’s unlikely he was still in New York on May 28, which would have meant he would have traveled to London, at the earliest, on May 29. Arriving in London on May 29 would have meant Reed wouldn’t get to the studio until May 30. Experts say an album takes at least two days to record, and even that’s a ludicrously short time. Recording an album so quickly very rarely happens, and when it does, it’s the stuff of legends. Don’t forget that Reed was recording with David Bowie, who was a notorious perfectionist. It’s unlikely Bowie would be happy with an album with such a short turnaround, and there are no stories of Reed recording an album in two days. In short, the Perfect Day can’t possibly have been on May 28, 1972. And so, there are only two possible dates for the Perfect Day left. May 7 and May 13, 1972. May 7 was the warmer of two and had a pleasant southerly wind. It also rained in the evening… which is final piece of the puzzle. When it rains, people go to the cinema. When it’s sunny outside, people do not go to the cinema. May 13 was a lovely evening, with no rain at all. It stands to reason, then, that because Reed saw a movie before going home, the Perfect Day was May 7, 1972. 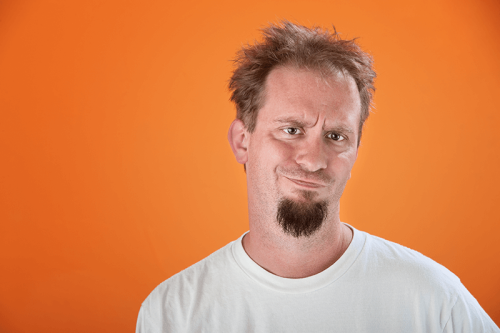 This guy looks skeptical. But he’s just trying really hard to grow the rest of his beard. Just by knowing your location and who you are with, there’s a lot of information that suddenly becomes available. Add your relationship status and some vague job history, and anyone with enough inclination can piece together your life. Reed himself says he doesn’t remember the ‘70s, but what he remembers is irrelevant. Everyone leaves a trail on the Internet. And just because you don’t remember it, it doesn’t mean it’s not there. Chances are no one is interested in piecing together your life story. But if anyone wanted to, they could. Employers have been known to check the Facebook feeds of staff who call in sick. And there are countless tales of people getting into trouble because of something they wrote on social media. Going to the extreme, what if a dictatorship grabbed power in your country? It would be very easy for a corrupt government to keep a close eye on unwilling subjects. The data you leave behind could be used against you. It’s worth erring on the side of caution when it comes to sharing your life online. A lot can be gained from just a snippet of knowledge and a bit of time on Google. You can’t stop other people posting about you online, but you can set your social media privacy settings to stop yourself being tagged. Facebook has a great guide for controlling your privacy settings. Check it out. So let’s assume he went to a cinema near his apartment. Thankfully, someone has already gone to the trouble of listing all the cinemas in Manhattan during every decade. How convenient! It’s also a good reminder of just how much data is available to everyone with an Internet connection. Reed’s closest cinema was Theatre 80 St Marks. Looks nice, doesn’t it? Exactly the kind of place he might attend. Our guess is this is where he went to watch movies, given how close by he lived. As for the movie? Well, who knows for sure? But Fritz the Cat, an animated indie, had just been released. And Lou Reed must have seen it, considering he starred in a film inspired by it. Lou Reed, his music will live forever. Perfect Day beautiful song, love the gentle vocals.